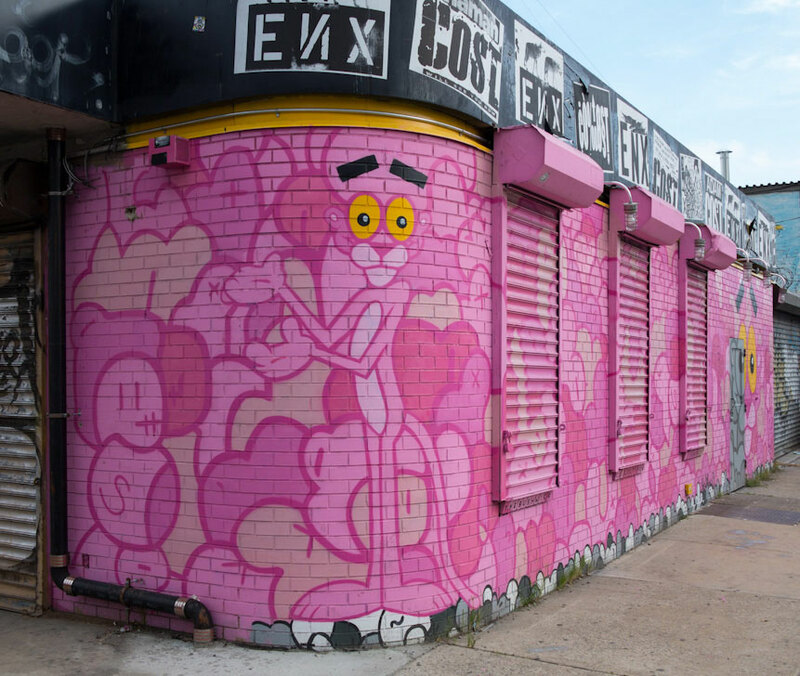 The walls around this now closed diner are covered in murals including Dasic Fernández, Jerkface, COST and ENX, Eelco Virus, Mr. Prvrt, and Avisualbliss. This would be a great place to take a break on your tour. Morgan Ave. and Knickerbocker Ave. Explore large-scale murals by some of the top street and graffiti artists in the world in the Williamsburg neighborhood of Brooklyn, New York. Learn about the artists behind them including Aiko, Buff Monster, Cernesto Wonder, Galo, How and Nosm, Icy and Sot, Invader, Microbo, R. Robots, ROA, Robots Will Kill, Tristan Eaton, and Zed1.